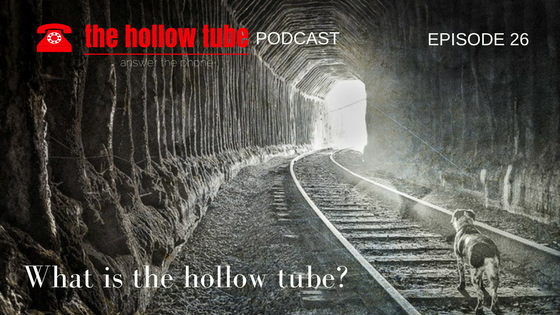 026 – What Is the Hollow Tube? 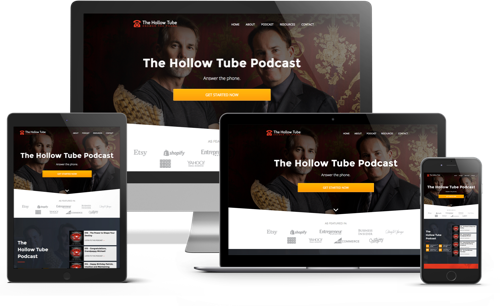 In honor of our new website launch, big shoutout to Anthony and Linh Tran at Marketing Access Pass, we are going to share what the Hollow Tube concept means to us. We wanted to collaborate on a book together and in our discussions we came upon the concept of the Hollow Tube. Then our energy shifted to starting and creating the podcast, but we still have a lot of great Hollow Tube stuff written. Patrick decided to start working on the Hollow Tube book manuscript and has come up with the prologue. He shares portions of the prologue and how asking the right questions can lead to powerful self-exploration and transformation. We also share parts of Chapter 1 of the Hollow Tube book. Michael recently had some feelings of overwhelm and doubts about the podcast and book. We also discovered that positive input goes a long way. Thank you to everyone who shares positive insights and listens to our show. [04:47] The Hollow Tube prologue that conceptualizes the idea of the Hollow Tube. [06:01] How there are two red chairs and a table with a red phone that is ringing. As the phone rings you wonder how your life’s journey has led you to this place. [08:23] How the red phone rings for each of us when we often least expect it. Life can be challenging, complex, and confusing. [09:12] Asking ourselves is this all there is to life? We know we are meant to do more. A call to action for the living. Who am I? Where am I headed? Self-exploration and transformation. [10:31] Chapter one. When we become hollow bones there is no limit to what we can do. 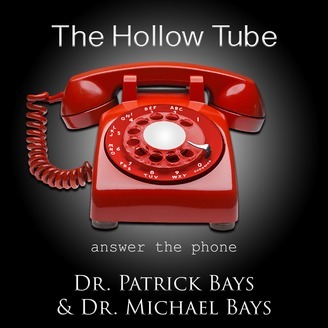 How the Hollow Tube is a megaphone that makes our voices louder. [15:15] How the Hollow Tube leads a path of synchronicity to stay on our path. [18:47] Patrick is plugging away on the book. He is up to chapter four. Michael is still working on the 40-day affirmation challenge. Which will be chapter 29. [19:52] The affirmation challenge and how to do an affirmation and how to not do an affirmation. [20:45] How everything we are working on is going to be synergistic and meld together. [21:39] How Patrick is going to push Michael through the Hollow Tube whenever he has self-doubt. [22:00] Michael’s son Patrick listened to the last Hollow Tube episode. [23:07] How the worst fielder is put in right field not left field. Michael was in right field, as a boy, not left field. [26:29] How blaming others for your situation is playing the blame game. [26:49] Parker enjoyed the story of the candle office fire and how it affected the lives of so many other people. [28:08] How the original premise of the Hollow Tube was going to be for millennials. The fact that Parker finally listened to the podcast was one of the happiest moments of Michael’s life. [28:55] How Michael’s friend Tanmeet Sethi has so much going on and how she inspires Michael. [31:54] How what Michael and Patrick are doing is right for them. [33:41] How top shelf tequila is designed to sip and it has a nice flavor. [36:02] How masters become masters and the steps required and habits and traits of people at the top of their field. It all boils down to having a clear specific goal and a clear vision. [37:20] If you don’t know where you are going nothing will push you to your destination. [38:11] Staying focused and totally invested in the moment. [38:42] Patrick’s goal to graduate as first in his class ever. [39:44] Patrick’s method for studying was every night from 7 to 10 o’clock and he would study 4 to 6 hours on weekends. He went over his studies while laying in bed. Every question is something that would happen in a lecture. Patrick would listen for the instructor’s voice for clues about what topics and questions will be on the test. [41:47] Being 100% invested in the lecture and you can hear and feel the inflection of the instructor’s voice to see what will be on the exam. [43:09] Getting to the bugs on the tree or the last detail that goes from a 95% to a 100% or more. How the transition of knowledge from the page to the brain takes place on your own. [44:39] How having the information in your mind will make you do well on the test. [45:44] The importance of getting comfortable being uncomfortable. [47:13] If you are not uncomfortable at some point, you are not striving to do your best. [48:47] 1. Have a clear specific goal. 2. Stay focused. 3. Get comfortable being uncomfortable. 4. Constant feedback. [52:04] How practice needs to be guided by a trainer or a coach or mentor. [52:44] It’s our goal for the entire podcast to be mentors. [53:19] The purpose of life is to bring more life on the planet. The meaning of life is to teach people things that you have learned. [54:20] The importance of constant deliberate practice. Mozart’s dad dedicated his whole life to training Mozart and his sister in music theory. [58:49] Visit our website and sign up for our email list and tell us who you are.